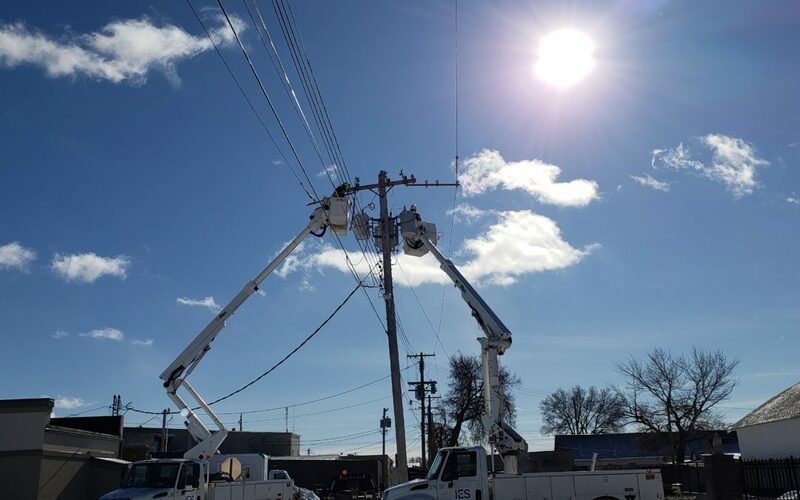 The voltage conversion process continues, and a reminder to give the crews plenty of space to work as they try to maneuver in the tight areas around Main Street. IES has been “planting” poles in preparation for the voltage conversion of the Main Street customers. The outages will begin on the January 29th and each will last three to four hours for the construction. Customers will experience a short outage later on when they are switched over to the new voltage. City Hall and some of the surrounding buildings, excluding county buildings, will have two long outages during the afternoons of February 4th and 6th. The conversions are expected to be completed in February and the transmission upgrades are anticipated to be done by April.